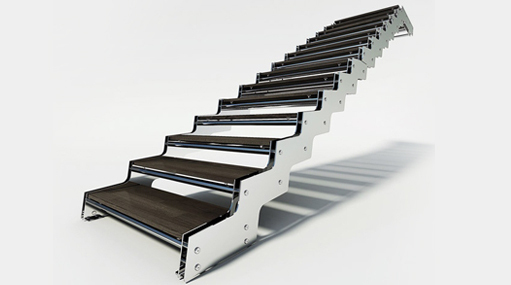 We use stairs every day, they are essential; why not make them wonderful too? Each Inoxrail staircase links not only levels but also -ideas and dreams: it creates a dialogue between spaces by using the language of both technology and the imagination. These strikingly beautiful stairways will add architectural interest to any custom residential or commercial project. We offer any combination of styles which include all stainless steel or stainless steel with wood treads and landing platform and different handrail systems.